You are here: Home / All Posts / THUNDERBIRD is coming! 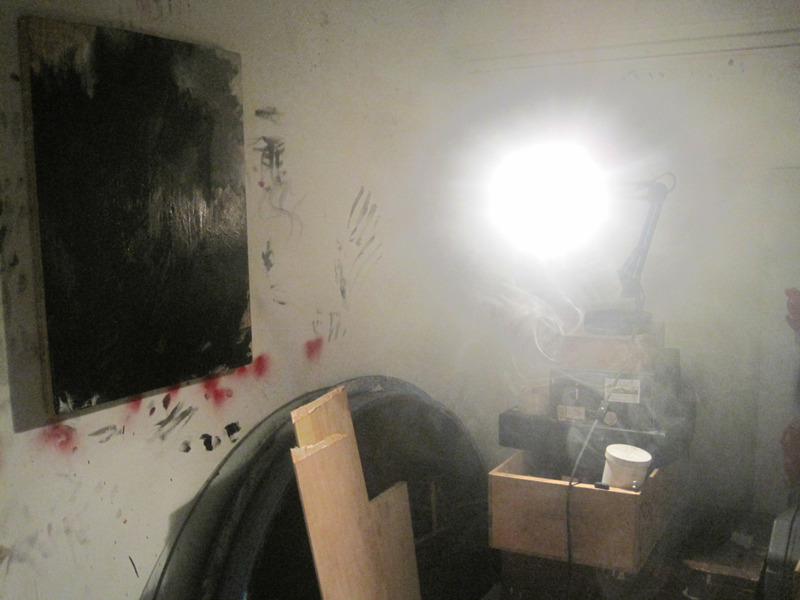 The New Exhibition by Primal Artist Obi Kaufmann! Artist Obi Kaufmann has made the Give Us Art! blog again. 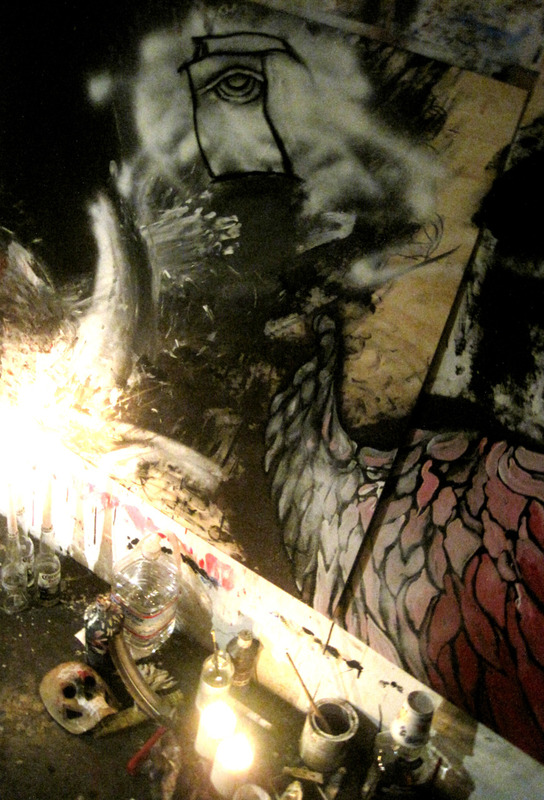 His new solo show titled “THUNDERBIRD” opens November 19th and shows until December 18th, 2011. If you’re a follower of the blog you’ll recognize Obi’s name. 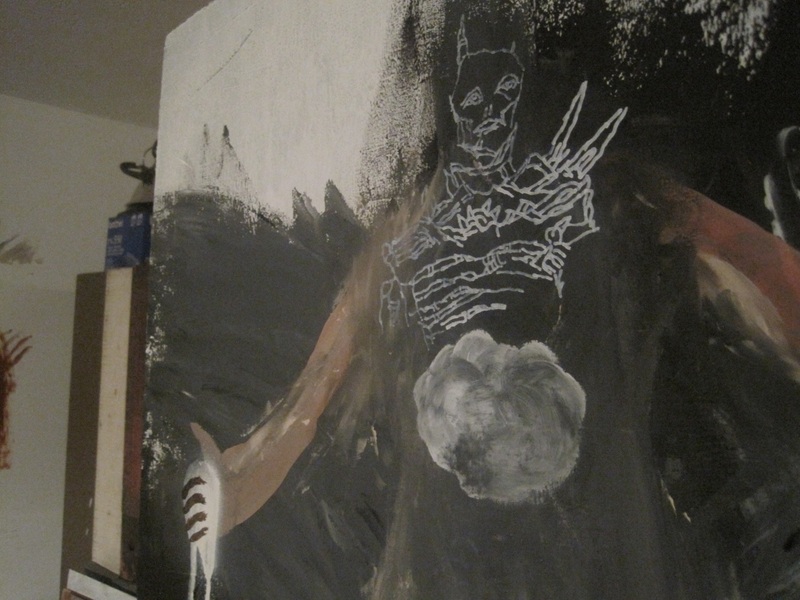 Previous posts Dark, Powerful, Visceral: Obi Kaufmann!, Vampire Tree: Part 1 and Vampire Tree: Part 2 discussed his one night “art slam” show in Seattle. For a more detailed view on his art, style and personality check out my www.culturemob.com articles Obi Kaufmann: A One Night Affair and Obi Kaufman’s ‘The Vampire Tree’ Exhibit. 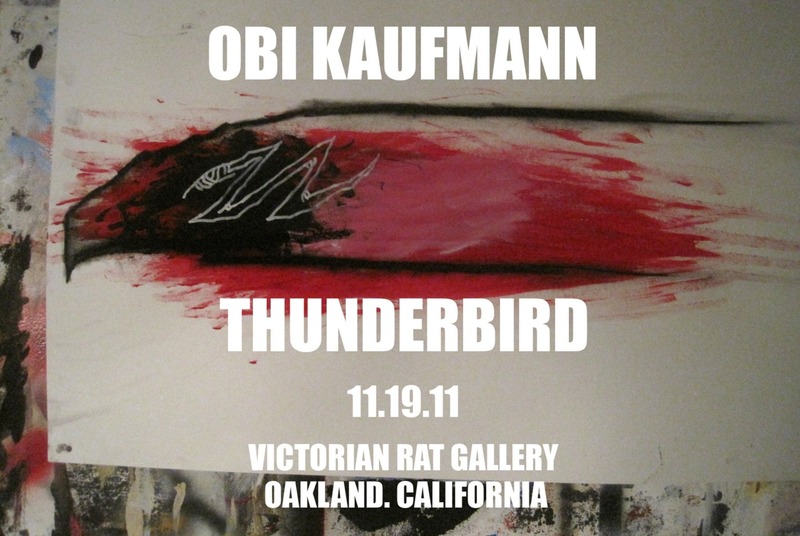 Victorian Rat Gallery is proud to present the paintings of Obi Kaufmann in a solo show entitled THUNDERBIRD. 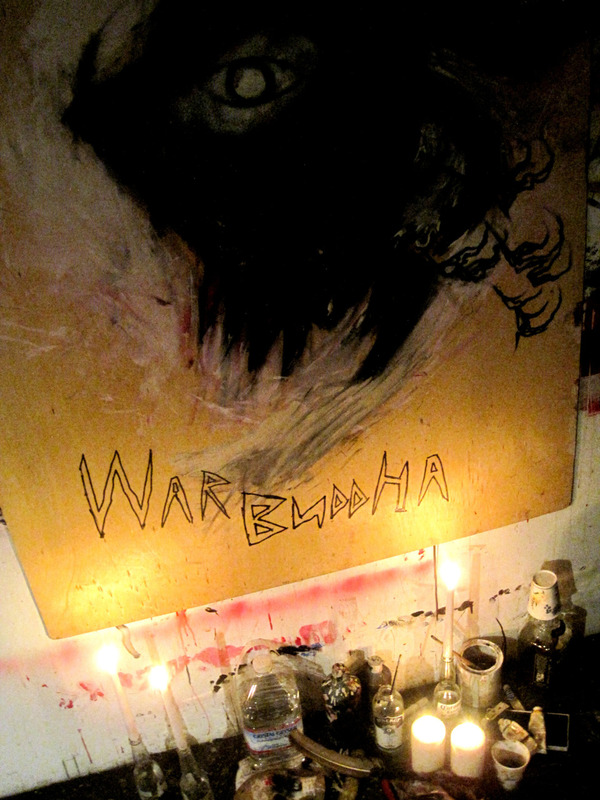 After recent sold-out exhibits in both Oakland and Seattle, and on the heels of last year’s popular WARFLOWER at San Francisco’s Five Points Art House, Kaufmann brings his most savage paintings to date back home to North Oakland. Victorian Rat Gallery is run by husband and wife David Seiler and Brianna Brandow-Seiler. They invite you to join them for the candle-lit reception of THUNDERBIRD on Saturday, November 19th, 2011 at 6pm. 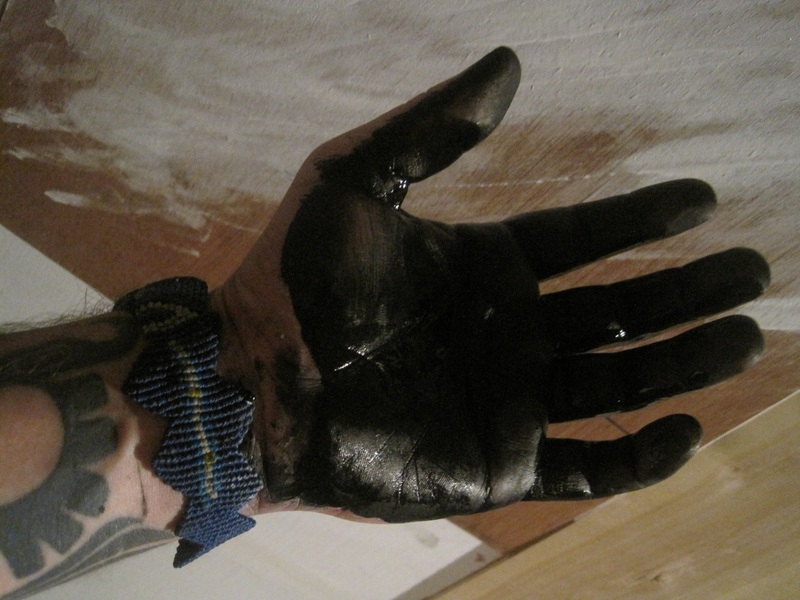 Artist Obi Kaufmann really gets into his work! It goes without saying that you should be at this show. You should be at the reception to meet Obi. He’s an engaging person who’s worth meeting. These images do his work little credit. Seeing it in person is downright amazing. 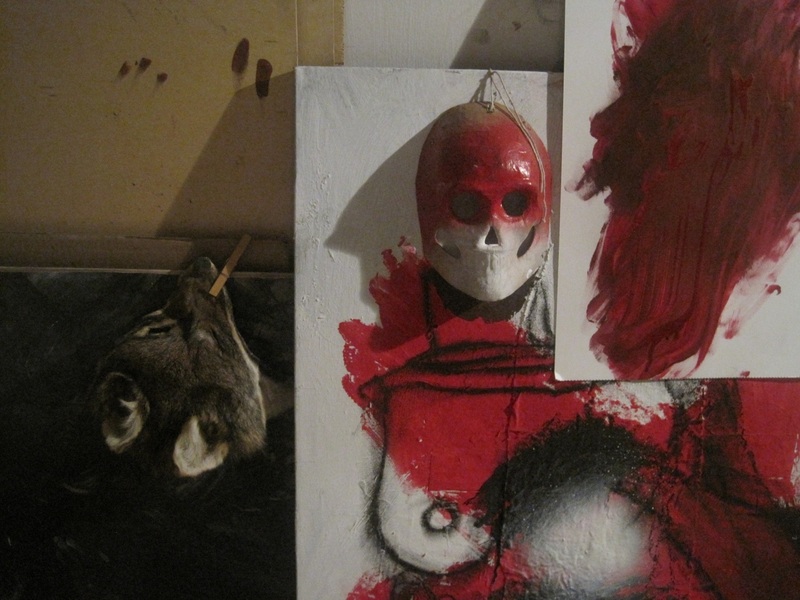 His work has a raw, primal quality that evokes some stunning emotional responses. « Love me some Fire! Molotov Art of Russian Artist Radya Timofey!